Our private school curriculum is designed to provide the highest quality academic education for our students. 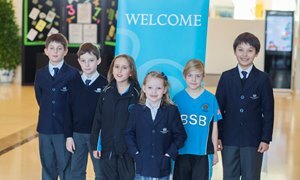 We follow a version of the British National Curriculum which has been adapted to meet the needs of our international student community, from our Early Years programme for our very youngest pupils, to a high school programme suitable for secondary students preparing to take the IGCSE examinations. Our year 12 and 13 students can follow the world-class International Baccalaureate© (IB) Diploma programme for an in-depth preparation for their future university career. Read more about what your child will study at the various stages of our curriculum. Get to know and understand our curriculum and its key stages. Discover how we nurture and teach our youngest students in the Early Years Foundation Stage. Find out what our students learn in primary school, including curriculum overviews for Years 1-6 and our EAL programme. Our German primary school section uses the German National Curriculum. Learn more about our German language offering. Get an overview of Key Stage Three, during which students are introduced to a bigger variety of subjects and a timetable of lessons. See an overview of Key Stage Four learning, including the choice of subjects and preparation for the IGCSEs. The IB Diploma is a world-recognised qualification, excellent for university preparation and personal development. Find out more about this challenging yet rewarding programme. As an international school, we believe that languages are vitally important. 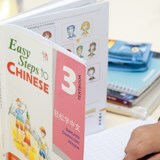 View your child's language options, which include learning English, French, German, Spanish, or Mandarin Chinese.